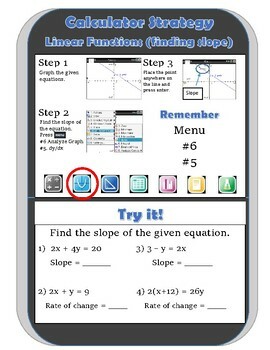 Finding the slope of a linear function hasn't been easier. These are notes on how to find the slope given the equation using the Ti-Nspire calculator. I print the notes in half a page and add it to the students interactive journals.